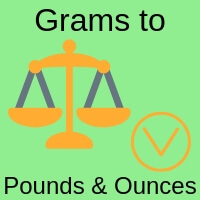 Online calculator to convert grams g to pounds lb and ounces oz. 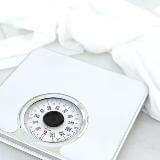 It can also show the results in stones, pounds and ounces. Also conversion from pounds and ounces into grams calculator. Convert between metric and imperial weights. Enter the value of grams in the first text box. Press the Convert Get Results button. Results show up in the pounds + ounces and stones + pounds + ounces lines. Enter the stones, pounds and ounces in the top line. Click on the Get Results button. Answer in grams text box.